Time really flies when you’re playing video games. Somehow SMITE is now turning five — in launch years, that is. That’s right. The game has officially reached that annoying age where it will just ask “why?” repeatedly. Oh, wait, that’s human children. 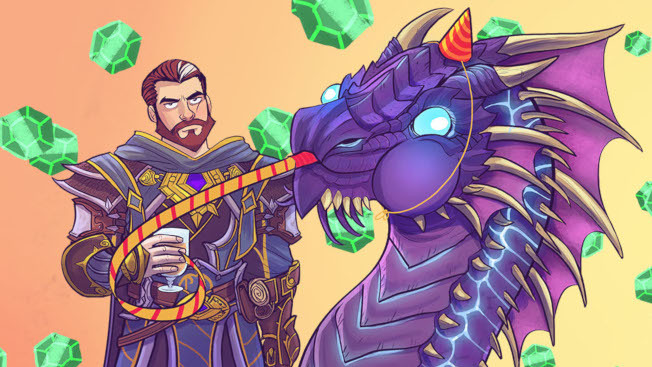 Still, the fact is, SMITE is turning 5 and the Hi-Rez/Titan Forge crew are ready to celebrate. Starting today players will receive rewards for completing various daily tasks. Each mini-event will last a day, running through March 26. Wednesday, March 20 – Get a Cutesy Avatar Chest for getting 3 First Wins of the Day. Thursday, March 21 – Party Up! Get double Favor, Worshipers, and XP while in a party. Friday, March 22 – Every First Win of the Day gets you an Enigma Chest. Saturday, March 23 – Earn 3x Worshipers after each game. Sunday, March 24 – Earn 90 Gems for getting 3 First Wins of the Day! Monday, March 25 – Score 2x Worshipers, Favor, and XP after each game. Tuesday, March 26 – 5 First Wins of the Day rewards you with an Awesome Chest! Of course, as is always the case with games these days, there’s also a special anniversary deal in the game’s store. Right now, players can save 35% off Gems. All Season Chests are also on sale throughout the week, and players can pick up Avatars, Wards, Voice Packs, Boosters, and In-Game Name Changes at a discount as well.